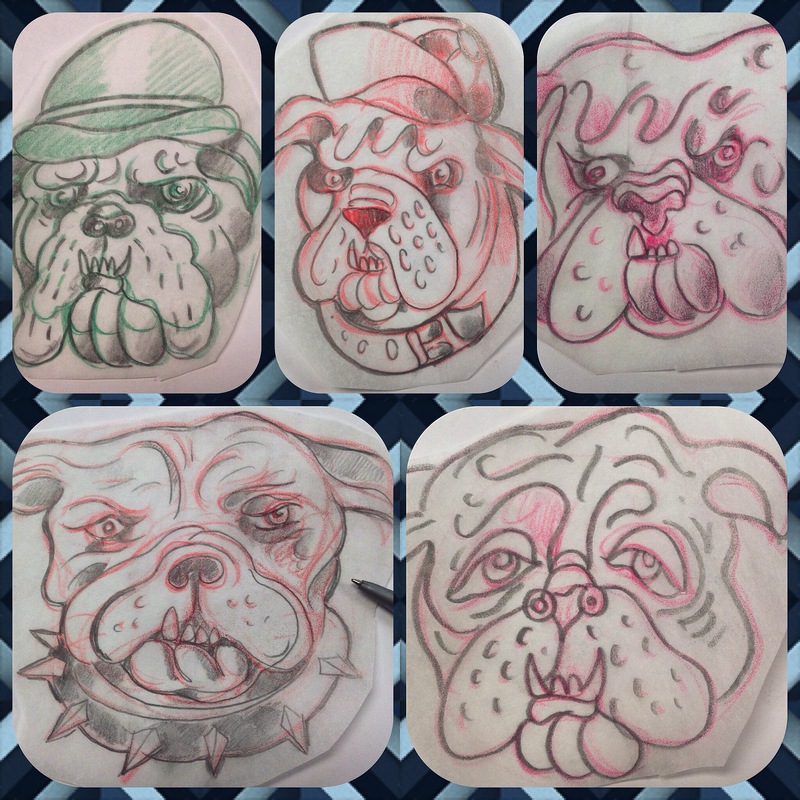 This entry was posted on February 13, 2016 at 11:37 am and is filed under Drawing, Drawing Studio, Illustrations, Sketches, Tattoo Flash, Tattoo Studio, Tattoos with tags Art, bulldogges, bulldogs, Drawing, Sketch, tattooflash. You can follow any responses to this entry through the RSS 2.0 feed. You can leave a response, or trackback from your own site. Nice, is this for a specific customer, or just some flash? Can I ask, are you at a shop, or tattooing on your own?